When Pools are not installed correctly? 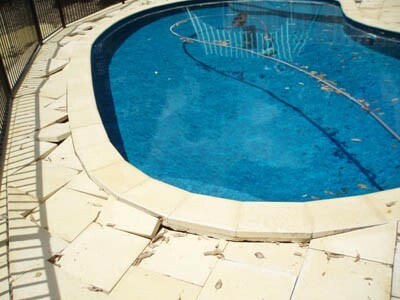 A number of complications can arise if a pool is not compacted by an inexperienced operator. 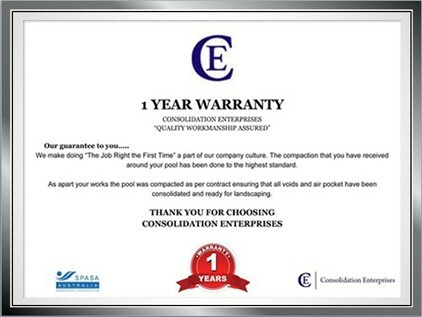 It is important when choosing a business to Pencil Compact your pool, to check their qualifications and the guarantees they offer you. Unfortunatly too often we have seen clients take the cheaper option with devastating results, not realising the expensive ramifications. 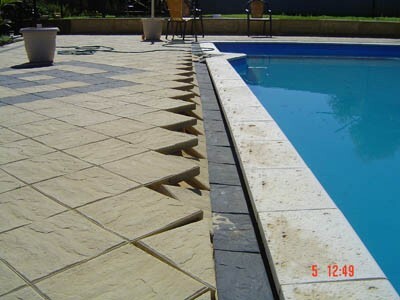 The picture on the right illustrates what can happen if an unqualified contractor compacts a pool. 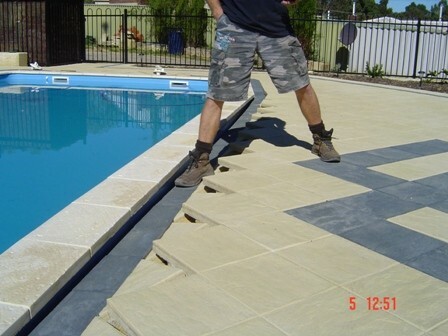 The shallow end of the pool has sunk by 30mm creating an uneven look when the pool is full. It now requires supports under the edgebeam to jack the shell to the correct height. Below is a step by step process to rectify the problem. Once the level has been fixed, the pool can then be backfilled and then filled with water. Once the pool is full, pencil compacting is completed from a qualified company. The following form will ensure you are 100% guaranteed that the pool will meet SPASA regulations. Consolidation Enterprises is the only company to record levels and offer such an ironclad guarantee.